Tibet is vast that it normally covers a long mileage from point A to point B. Besides, the living standard of Tibet is much higher than China’s inland provinces. For instance, if a can of soda sells CNY 2 in China’s inland, it will be CNY 3-5 in Tibet. 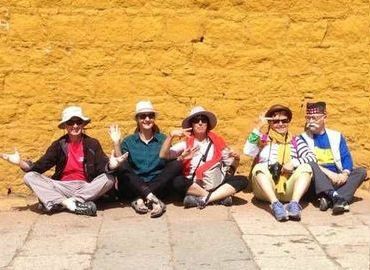 Our Small Group Tours focus on saving costs for those travelers who want to have a budget tour. That’s why if you were traveling alone, it’s better to consider our Tibet Small Group Tour to share the expense with other travelers by saving at least 20%. The departure is guaranteed once you booked our Tibet Travel Package. Even if we fail to recruit others, no extra charge will be forced upon you. Each group is maximum with 12 members and will be operated by following fixed itinerary. Be smart with your money, check out our Tibet Group Tours below! 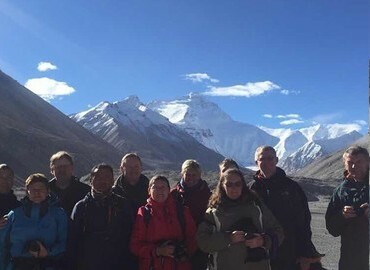 The 12-day group tour will take you to explore the most spectacular natural and cultural scenery of Tibet, including Mt.Everest-the world's highest mountain and Mt.Kailash-the center of the world. The tour will end at Gyirong border. After the trip, you can drive to Kathmandu to explore the mysterious and romantic land. This trip shows you the holy Buddhist city of Lhasa, home of famous monasteries and devout Tibetans. 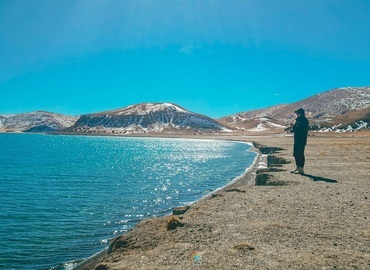 After visiting Lhasa, you will have a short hiking trip along the holy Yamdrok Lake of blues. 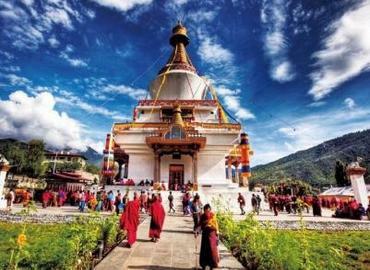 During the 13 days, you will explore Tibet, Nepal, and Bhutan. For your visit to Lhasa city, you may be surprised by the profound Buddhism atmosphere and unique historical architecture of this city. Then move your way to EBC where you can catch a glimpse of Mount Everest. 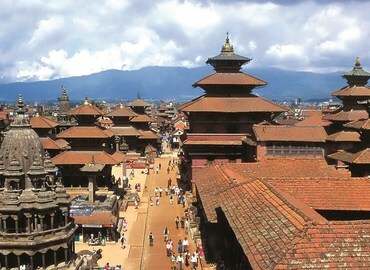 Afterward, make your way to Kathmandu, where you may take a fantastic tour to Kathmandu Valley and Kathmandu Durbar Square. Finally, you will arrive at the destination of your journey where you can trek to Taktsang and see Tiger's Nest. Follow us and you don't need to worry about the transportation from Kathmandu to Gyirong. 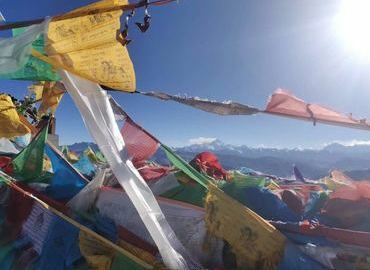 In Tibet side, you will see many snow covered mountains, the marvelous view of Himalaya Range, such as Mt.Everest, Cho Oyu, and Shishapangma, etc. One of the best Points, attractive price! Why Choose Joining Our Group Tours? Great Tibet Tour is a local tour company based in Lhasa, Tibet. 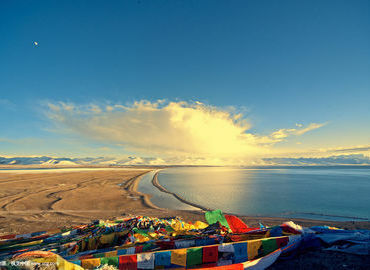 It was founded in 2005 and recommended by Lonely Planet as one of the best reputed local Tibet travel agencies. With the great responsibility, professional know-how and passion for innovation, Great Tibet Tour endeavors to provide you with enjoyable, thoughtful service, and authentic culture discovery. With varied choices of itineraries and departures, we guarantee you a fixed tour once you booked with us. Even if we failed to recruit others for your group, no extra charge will be forced upon you. No more than 12 persons in a group assures you have a cheerful trip with good care from your guide. 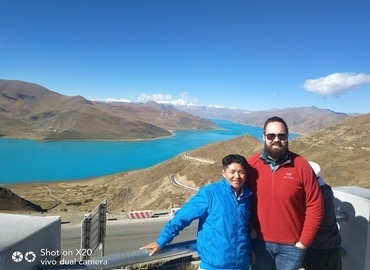 We only use English-speaking Tibetan local tour guide and experienced driver, you can explore Tibet with no worries. Oxygen bottle is always on the tourist vehicle for an unexpected situation. Travel insurance covers the sudden accidents. Restaurants that are carefully chosen to serve you safe and yummy local food. Although we pay more for the hotels with a good location, we just want to make sure you don’t have to waste time on the way to the scenic spots. Sleep in 3 or 4-star hotels with tasty breakfast in the available area. Distinct Tibetan flavor welcome dinner gives you a happy beginning with hospitable Tibetan people. No any forced shopping unless you require one. Money back guaranteed, we commit to make refund if the service is not as what we promised. 3% off if you have another two companions. 3% off for booking in advance more than 3 months.